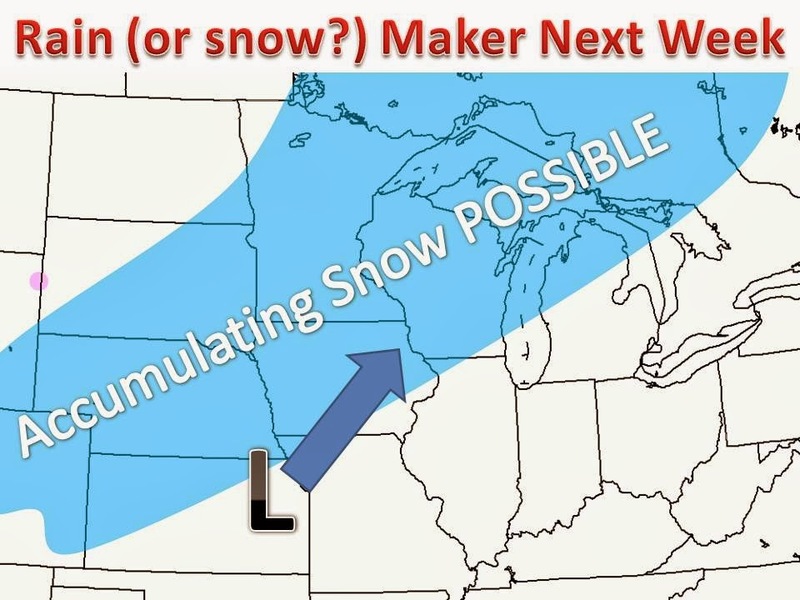 Midwest Winter Weather Blog: Midwest Storm Brewing Next Week? Midwest Storm Brewing Next Week? Accumulating snow possible across the Midwest during the middle of next week. The European weather model has been showing a full blown winter storm for a couple days now. It has backed off a little on the amounts, but the American model is now showing this storm next week as well. It will depend on the amount of "phasing" we see in the system. It has the potential to dump a good amount of snow somewhere in the upper midwest. Right now computer models are putting out amount of 3-6" mainly in Minnesota, however the exact placement of the snow will likely shift back an forth until reaching a solution in the coming days. Anywhere in the light blue shading has about a 25% chance of 2"+ of snow next week, with better chance in northern Minnesota. Be sure to check back here for updates and on our facebook page in the coming days!